Relaxation isn’t just time out doing nothing or enjoying scented candles and a soothing voice. Relaxation is a crucial part of enabling high performance. The path to physiological (and therefore psychological) relaxation may involve some technical bodywork techniques, targeting tension patterns and restricted areas in the body. The neurological, psychological and physiological science behind a relaxing massage treatment shows that it is a crucial aid to stress recovery and health. Relaxation protects the immune system, reduces blood pressure, eases inflammation and enhances brain functions such as memory, decision making and enjoyment. 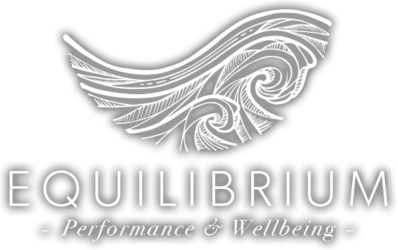 After a decade working with athletes, corporate bosses, musicians and luxury holidaymakers looking to de-stress, Ruth Martin now runs Equilibrium ~ Performance & Wellbeing in the Alpine town of Chamonix Mont Blanc, France. She is a Massage Therapist well versed in helping anyone become the most relaxed and powerful version of themselves, to perform at the best level they can. Fascinated by the inter-relationship between psychology and physiology, she has developed an approach to enhancing anyone’s “performance and wellbeing” through a combination of therapeutic massage, relaxation and a field of soft tissue therapy known as myofascial release. Corporate Incentive Trip – Massage & Wellbeing Benefits Everyone. Massage is a phenomenal medium to reduce tension, energise the body and boost endorphins – the wellbeing hormones. Taking time out just to be looked after for an hour or so is a wonderful psychological boost. And relieving immediate stress and long term tension involves some amazing physiological processes. “A good therapeutic massage” explains Ruth Martin, “will relax muscles, rehydrate connective tissue, pinpoint and release areas of unwanted tension that have perhaps been holding you in an unhelpful posture or movement pattern. For instance, an ostensibly successful entrepreneur may have tension headaches. Following chronic travel, desk work and high intensity business work, a great massage should help restore posture to an open, “regal” holding pattern, letting the upper shoulders drop and soften, the upper chest feel open and the neck feel relaxed, while the core can become engaged and powerful. Regular massage during a trip or holiday is a great way to allow your whole body to feel long term benefits from the getaway – beyond the immediate relaxing effects of a treatment. Equilibrium offers “Skiing and Wellbeing” and other weekend and weeklong tailored packages in beautiful Alpine locations, so clients can pre-book a course of restorative massage and bodywork sessions – knowing their holiday will truly rejuvenate them in body, mind and soul. To augment the therapeutic nature of massage, Equilibrium also calls in highly trained yoga instructors, a qualified mindfulness coach and various mountain-fitness professionals who help to give clients a wonderful experience alongside that inner glow. Increased cardiovascular fitness, released holding patterns, natural strength, body tone, flexibility and fresh perspectives – all add up to make a person feel energised, healthy and ready to take on both the big mountain ski fields and the big world. Relaxed – and in the driving seat. For further information, visit www.equilibrium.fitness or contact Ruth Martin on +33.783.72.63.76 or email us.